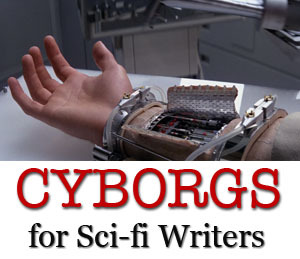 This article on cyborgs in science fiction is part of the Science in Sci-fi, Fact in Fantasy blog series. Each week, we tackle one of the scientific or technological concepts pervasive in sci-fi (space travel, genetic engineering, artificial intelligence, etc.) with input from an expert. Please join the mailing list to be notified every time new content is posted. Brie Paddock (@bookstoregirl) is an intrepid biology professor by day and aspiring writer by night. She teaches animal anatomy and physiology to enthusiastic undergraduates and can dissect the brain out of a fruit fly in 3 minutes flat. She holds a PhD in Biomedical Science, focusing in molecular, cellular, and integrative neuroscience from Colorado State University and is currently drafting a space opera. The edges of humanity. Ships that travel faster than light, colonization of hostile environments. Well-armed wars against the beings we find there. These are not the only settings in which a science fiction writer takes us to the edge of our humanity with shiny but necessary not-quite-yet technology. Some, like Asimov, take us deeper within ourselves. Cyborgs. A melding of man and machine. Biological organisms that somehow, through the magic of science, interface with the technology that dominates so many science fiction stories. It’s alluring, exciting… but how to incorporate it into your story? Biosynthetic augmentation can be divided into in three categories. When your doctor tests your reflexes, your knee senses that some stranger whacked you with a hammer, your spine receives that information and decides to act, which results in a slight kick. Augmentation can happen at any of these levels; sensory, integration of information, or effectors like muscles that carry out the plans of our brains. Neurosensors already possessed by humans can be augmented. Cyborgs are among us. Sensory. Cochlear implants and retinal protheses are already improving the lives of people afflicted with deafness or loss of vision. In the past several decades, researchers and doctors have effectively integrated synthetic sensors, like a microphone or video camera, with the parts of ten human brain that allow us to understand what we see and hear. Doing so means implanting electrodes from the device into the nerves and tissues of the person. Currently, all candidates for these operations have a major sensory deficit and implants are used to give them freedom and mobility in their daily lives, to bring them closer to the sight and hearing of an unaffected human. But humans will go beyond. What dog owner hasn’t wanted too scent as well as his faithful friend? What cat companion hasn’t wondered what their feline stares at, on the wall? Cameras can record events faster than the human eye can collect information, and cameras can transmit information through electrodes to the brain. The technology to teach the brain to process this new, additional information isn’t ready yet, but that’s what research – and fiction – is for. 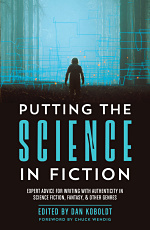 There’s no reason science fiction (or even science) has to stop with the senses we currently have! Augmentation could include other stimuli. There are migratory birds that sends and use the magnetism of the earth to navigate their amazing journeys. Molecules within the retina of these birds orient, a little like iron filings, in response to the magnetic fields that pass throughout gah the earths atmosphere. Sharks and platypuses are capable of sensing electricity using conductive gel that occurs in pits in their skin, allowing the, to hunt prey hiding in dirt or darkness. Both animals use these senses the great effect, yet humans have no concept of what a magnetic or electrosense would be. Nevertheless, any beach comber has the technology in their metal detector to to sense magnetic fields. Magnetometers have been in common use since the compass you might have used as a boy or Girl Scout. Both magnetometers and EMF sensor – technology that allows the detection of electric field – are already small and able to interface with your cell phone. Like the camera or microphone described above, it could be possible to interface these things with the human brain instead. Doing so poses much greater challenges, however. Cochlear and retinal implants send electrodes to neural pathways humans already have, those that process sight and sound. Humans don’t have neural pathways to sense and perceive magnetism, so any cyborg able to sense magnetism would also need to develop new neural pathways and brain areas, or sacrifice some that he or she already has. All organisms and, thanks to the microchip revolution, many current man made things, have electrical fields. If the cyborgs in your novel need to be able to sense living things in space or man made electronics in a post-apocalyptic wasteland, maybe they have a motive for the EMF implant. They just need to find a doctor that can do it. Also, review by an ethics panel. But you’re writers, and we’re talking about fiction, so I’ll leave those decisions to you. Cyborgs can also tools on the far side of the spectrum – technology that is controlled by the human brain or body. In physiology, these are referred to as ‘effectors,’ tools that have an effect on the world around us, like muscles and sweat glands. The real world already boasts its share of humans who interface with technology and use it to do their bidding. Veterans and car crash survivors with replacement legs. Luke and his hand (ok, maybe Star Wars is more real to me than it should be). Patents already exist for regenerative peripheral nerve interfaces for biological devices. These amazing devices would allow injured humans to more directly control prostheses with their nervous system. These amazing devices could appear in your novel far before they hit clinical trials, and they don’t have to be as straightforward as a prosthetic limb. A microphone, wired to neurons of the vocal pathways, could clandestinely transmit information. Glands that secrete soothing or attractive pheromones could be implanted in your heroine’s skin. Implants in the fingers could be electrified or heated, allowing for some of the sneakiest spy sci fi out there. The last realm of cyborg technology (and the only ‘true’ cyborgs, to some purists) are those humans whose cognition and integration capabilities are enhanced by technology. Several private sector start ups currently employ researchers trying to implement the ‘neural lace’, a broader, more comprehensive interface between brain cells and electronics. These companies aim to incorporate technology deeper into our brains, providing more direct and intuitive control of electronics. The practical boundaries, for humans, are still enormous. Not so for invertebrates. Scientists have already created a roach that you can control with a microchip and a sea slug with real biological muscles – though the latter is really a robot, because it’s entirely controlled by microchips instead of sea slug brain. And that’s really the fascinating point of cyborgs – what is in control? The human or machine? Cyborgs, like space battles and unexplored worlds, are one of the hallmarks of classic sci fi. Biomedical advances have brought this meshing of human and machine much closer to reality, highlighting the few remaining technical challenges of getting human neurons to interact with technological devices as one of their own. 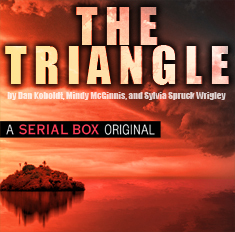 Whether your next novel needs a class of humans that can sense the magnetism of their new planet or easily-controlled super-thugs with taser-hands – it’s time to bring the technology in.